I had written here and here about what it is like to move to Unity and my first views. I had also mentioned that I’ll give a fair chance to both Unity and Gnome Shell to make an impression on me to continue using them or to ditch them for Gnome2 or Openbox. 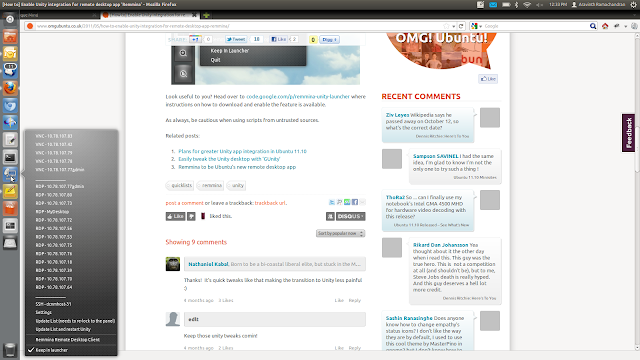 Well, I have to say, both Unity and Gnome Shell have grown upon me, Unity more so than Gnome-shell. Yeah, it took a bit of configuration (hopefully configuration settings UI will evolve in Unity to ease this process someday) but after that, I felt I have been enjoying my desktop better, even to an extent better than Gnome2. 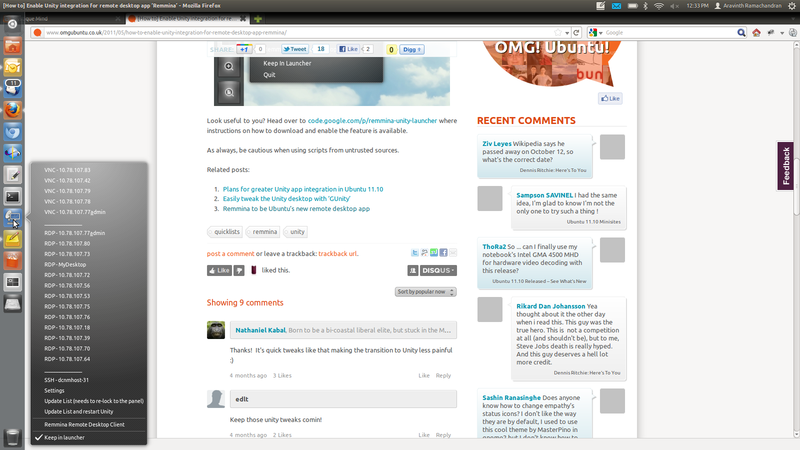 So here is what I did after Ubuntu 11.10 install to make it useful for me. Hopefully, other wide screen laptop and netbook users will find this useful. 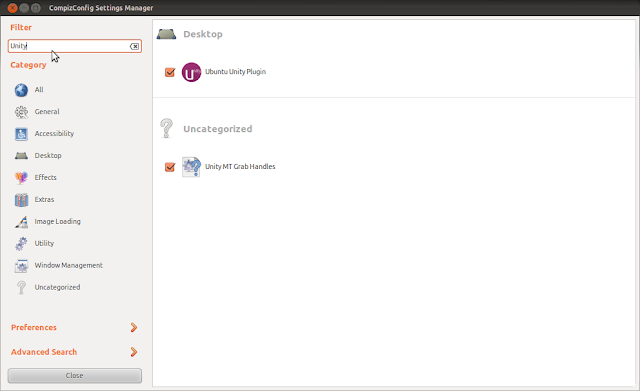 One can install both through the Ubuntu Software Center. 1. 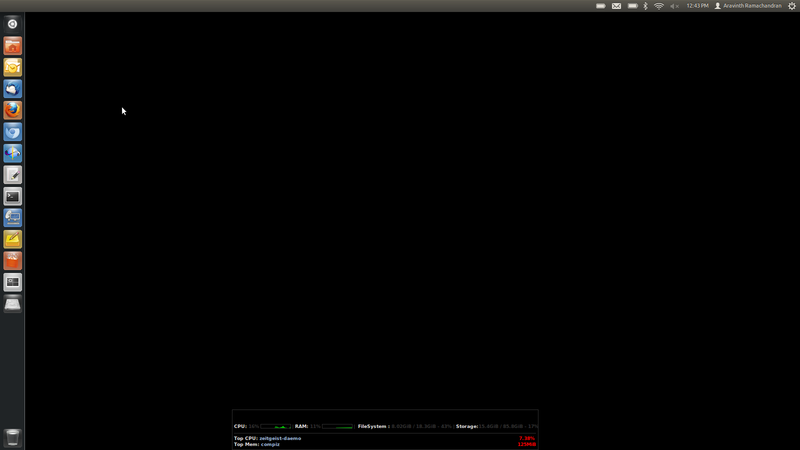 Run Compiz Config and filter Unity. 4. Set the Launcher Icon Size value according to your need. 5. Restart computer to see change. Logout and login might not be enough. 2. 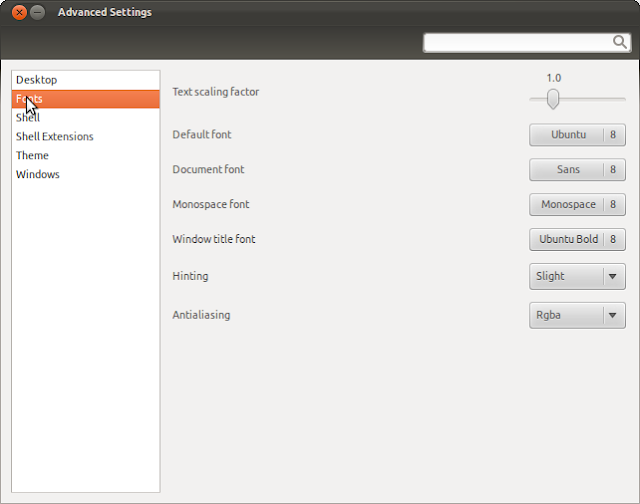 Select Fonts in the left pane. 3. Change font size and name as per your need. If you like more real estate in your laptop, you may want to stick to what is shown in the screenshot. Note: Monospace Font is set to the new Ubuntu Mono by default. 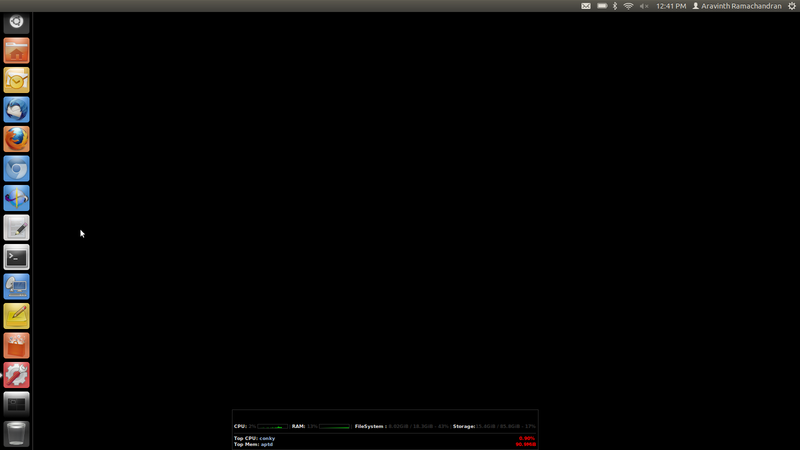 I personally didn’t find it better than the legacy monospace so I stuck to the legacy font. Both operations can be done through Synaptic (you have to first install Synaptic through Ubuntu Software Center) or Ubuntu Software Center. Don’t forget to install Pidgin plugin pack as well. Tweak 3.1: Remove Pidgin libnotify popup when buddy signs on. 1. 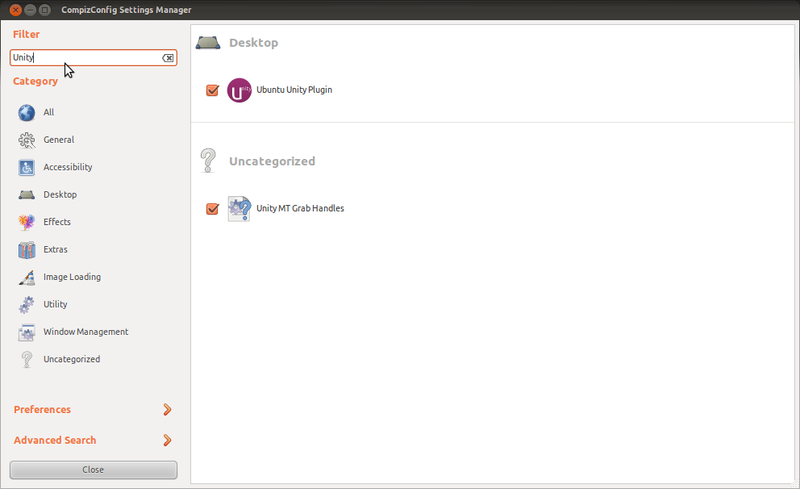 Pidgin -> Tools -> Plugins -> libnotify popups -> Configure Plugin -> Uncheck ‘Buddy signs On’. Unless you like shooting your brains off when you are thinking, you might want to mute the sounds in Pidgin. 1. Pidgin -> Preferences -> Sounds -> Mute Sounds. If you are a heavy user of applications like remmina which provide a handy systray icon, you’ll find the Unity way of hiding systray an annoyance. To bring it back, issue the following command. The default icon set in the Unity Dash is targeted towards your next door uncle who uses a PC for browing Internet or maybe write a novel. Not so helpful if you are anywhere near a power user. I’ll look to release the tweaked script sometime. Finally, I’ll keep updating this post with any further tweaks I find useful. Keep checking back.